Looking for something a bit different than the usual roses and baby’s breath? Why not consider succulents for your wedding flowers? Succulents are a great addition to wedding bouquets and centerpieces. They can also make great favors for your guests to take home and enjoy for years to come. They are also one of the most eco-friendly choices for your wedding flowers, as they can be replanted after your wedding. You can also work succulents into bouquets with other flowers. The rich leafy look of the succulents is beautiful alongside the deep reds, purples, or whites of more traditional wedding blooms. Succulents can make great wedding flowers because they also come in so many different varieties. They range from a wide variety of greens to whites, purples, and pinks. They are also available year round, which means you don’t have to worry about seasonal availability like you do with so many types of flowers. 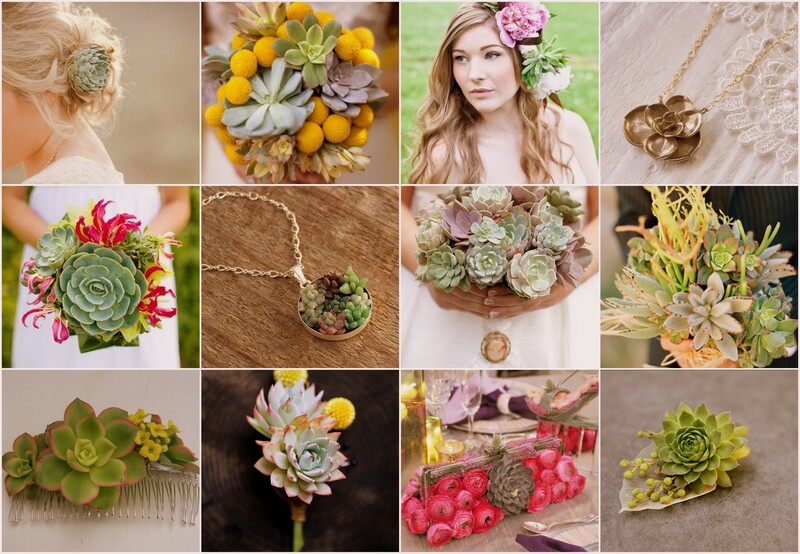 If you want to use succulents in your Milwaukee wedding flowers, let us know! We’re happy to help put together your perfect wedding day flowers! Previous Who Pays for Wedding Flowers?